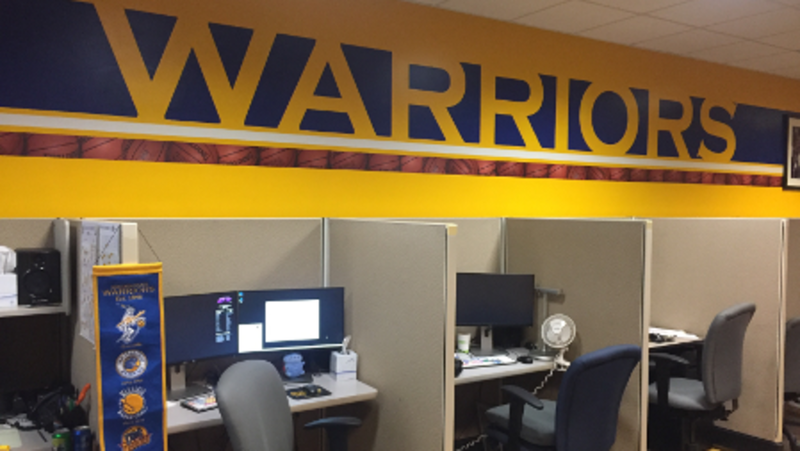 Warriors Studio has been along for the ride with the team on and off the court. We follow every event from the draft in early June to hopefully a parade in June the following year. 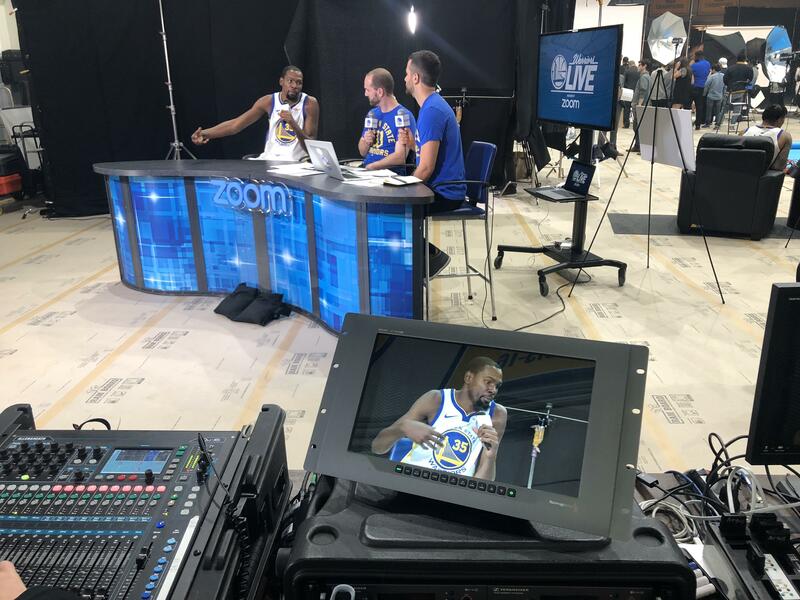 Warriors Studio helps provide content for in-arena production at Warriors games, social media, original content for corporate partners and any internal video requests. Essentially we are a mini-production studio/agency within the Warriors, servicing all video & content needs for every department. A typical day could include covering practice, followed by covering a player at a local community event. Meanwhile, many editors are working on getting ready for upcoming games or other content deadlines at the office. Our feature piece is Warriors Ground, which airs on NBC Bay Area monthly during the season (and which won our team an Emmy® Award last year!) These are 22-minute documentary style pieces that go in depth on players or important events in the warriors organization. Communication is key with our team and we strive to pre-produce as much we can for a shoot or be ready for an incredible moment. For example, when Klay Thompson broke the 3-point record this year in Chicago, our crew on the road captured amazing content not captured by TV cameras. And since it wasn’t a national game, that footage has been used by multiple TV outlets. It’s a very fast-paced environment, like I’m sure at other news stations, but such a privilege to get to tell these stories of this amazing team & work they do in the community.